Nashville, Tenn. (February 23, 2016) —- One of Christian music’s most powerful vocalists, Jody McBrayer, is garnering strong reviews for his new project and first release for StowTown Records, Keep Breathing. McBrayer has been busy doing interviews for the project that include Life With Purpose Radio, Alabama Baptist, The Good News (Denver radio) and NRT Live Google Hangout that resulted in higher live audience numbers for the program. Coming up for McBrayer will be an appearance on TBN’s Praise The Lord program, hosted by Jason Crabb, WSMV More at Midday and an interview with Nashville’s Moody radio station WFCM. Jody McBrayer is known worldwide after becoming a mainstay in the Christian music industry with the Christian pop group Avalon. He was riding on the crest of this amazing success with millions of records sold, numerous No. 1 hit singles, major tours and multiple awards when 9 years ago he left the group after being diagnosed with heart disease. Thinking his music ministry was over, McBrayer entered the corporate world for five years working with his family. Then one day he received a call from a popular evangelist who wanted McBrayer to join him on tour as a guest musician. Over the next four years, McBrayer would literally circle the globe and experience the power, grace and mercy of God in a way he never had before. These experiences helped to reignite a desire for ministry, as well as a calling that had long since been set aside. It also helped him to decide to move forward once again as a solo artist. He already had one solo project on Sparrow Records in 2002, This Is Who I Am, when he was still a member of Avalon. It didn’t take long for this talented singer/songwriter to get signed with a respected label. In 2015, McBrayer signed with StowTown and released his first album for the label on February 12, 2016. That album is titled Keep Breathing. Founded in 2011 and expanded in 2014, StowTown Records reflects the musical vision of Ernie Haase and Wayne Haun, in partnership with Landon Beene and Nate Goble. The independent label is the creative home for several top artists in the Southern Gospel, Inspirational and CCM marketplaces and quickly garnered industry attention with multiple Gospel Music Association Dove Awards and chart-topping releases. 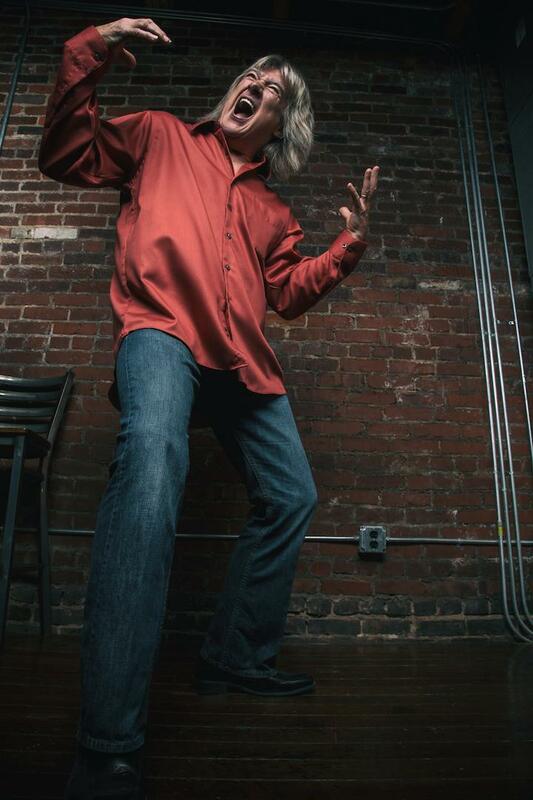 NASHVILLE, Tenn. (February 23, 2016) – Few artists have been more influential in defining contemporary Christian rock ‘n’ roll than Petra and Whiteheart, so fans of the genre will likely jump out of their skins when they hear that John Schlitt, lead singer of Petra, and Billy Smiley, guitarist, singer, and founding member of Whiteheart, have teamed up for a new album for 2016. The newly christened band, The Union of Sinners and Saints, features members from two of the best selling Christian Rock bands of all time, with sales of over 12 million records between them. Collectively they have generated more than 25 #1 songs and earned more than 15 Grammy and 40 Dove nominations and awards. 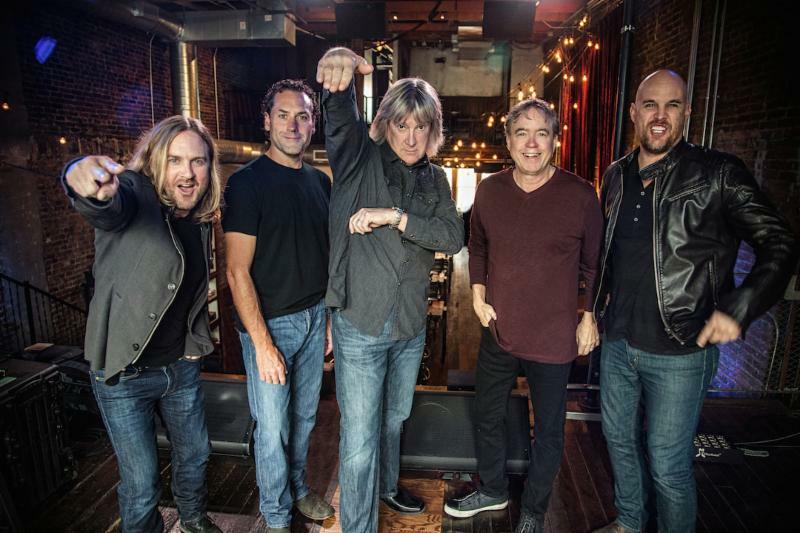 John Schlitt will be attending the upcoming National Religious Broadcasters Proclaim 16 International Christian Media Convention, which will be held Feb. 23-26 at the Gaylord Opryland Resort and Convention Center in Nashville, where he will meet with media and industry leaders to discuss the band’s upcoming project, The Union of Sinners and Saints, which is slated for a June 2016 release. Fans can look forward to the release of the new CD project, available exclusively at Lifeway Stores and digitally on iTunes worldwide. The project will feature eight new compositions and updated versions of Petra and Whiteheart classics. Joining Schlitt and Smiley in the studio is Anthony Sallee of Whiteheart on bass, new artist Jason Fowler on guitar and vocals, Steve Brewster (Peter Cetera) on drums, Jonathan Crone on guitar, and John Ellis, lead singer from Tree63, on guitar and vocals. Smiley is producing the record and bringing in on select songs an all-star cast of musicians including Brian Wooten (Whiteheart, Trace Adkins) on guitar, Chris McHugh (Whiteheart, Keith Urban) on drums, Brennan Smiley (The Technicolors) on guitar, Peter Furler (Newsboys) on drums and vocals, and Dave Ellefson (Megadeth) on bass. Richie Biggs (Whiteheart, Petra, and The Civil Wars) is mixing the record. One of today’s best-loved, adrenaline-fused rock bands, THOUSAND FOOT KRUTCH (TFK), has widely increased its boundaries since going independent in 2012. With over 400 million YouTube views in the last year alone, the band has also logged over 350,000 albums and one million singles sold along with 54 million streams in the last four years. The band has also impacted Active Rock radio with six hits to their credit since 2012, and has nine hits overall. Receiving a major boost toward its 10th radio hit, SiriusXM Octane exclusive world premieres the band’s “Running With Giants” Sunday, Feb. 21, at 1 pm EST. The song is the first radio single from TFK’s highly anticipated new album, EXHALE, slated to release in May. Following Octane’s premiere, “Running With Giants” goes for worldwide adds at radio Feb. 23. “This song charges the gates with no apologies, and comes out swingin’. It’s the perfect example of what EXHALE was always intended to be, the heavier, more aggressive side to ‘INHALE’ (our last album). The albums were always meant to be a two-part story,” says TFK songwriter, lead vocalist and guitarist, Trevor McNevan. “If there was a song that best encompasses the ‘release the dogs’ symbolism of the new album’s title, it would be this one. TFK premiered “Running With Giants” live, headlining a packed out Vinyl at Hard Rock Hotel & Casino Las Vegas as part of last week’s 4th Annual RadioContraband Rock Radio Convention 2016. A debut of the song’s brand new concept music video will be announced soon. TFK also launched EXHALE’s “Incomplete” to the top 10 of the iTunes Rock Top Songs chart last week amidst 5-star acclaim and a YouTube lyric video that has been viewed more than 170,000 times. The band further gifted the song “Born Again” to its fans. Downloaded tens of thousands of times and with more than 177,000 YouTube views so far, this song may find its way onto EXHALE as a bonus track. during the 4th Annual RadioContraband Rock Radio Convention 2016. Photo credit: Janelle Rominski. Thousand Foot Krutch begins to loudly “exhale” after “inhaling” for the last year-and-a-half with its second consecutive Hard Rock No. 1 and Billboard Top 10 overall album, OXYGEN:INHALE, which sparked the hit singles “Born This Way” and “Untraveled Road,” the latter named on the Top 30 Octane Big ‘Uns Countdown Songs of 2015. Ontario, Canada-bred TFK has been a continuously escalating highlight reel since their formation in 1997. With best-selling albums, over 1.1 million albums sold, nine Active Rock hits and a slew of soundtrack slots, the group has literally infiltrated every facet of pop culture. They continue to receive ongoing ESPN appearances, as well as various NASCAR, MLB, NHL, WWE, NCAA and NFL airings (including the 2010 Super Bowl), along with the “GI Joe” movie trailer, WGN-TV’s “Smallville” and EA Sports’ NHL 2010 and 2013 video games. Remarkably, the band also receives over 25,000,000 monthly views in combined streaming across all of YouTube. All the latest band information can be found at www.thousandfootkrutch.com, Twitter, Instagram, YouTube and Facebook, where the band has over one million likes. Established in 2008, The Fuel Music & Management, LLC, is one of the leading independent distributors of music though all physical and digital channels internationally and enjoys a growing base in artist merchandise sales. Based in Tennessee, the Fuel team brings nearly 70 years of combined music industry experience in record label operations, major label distribution and marketing, and artist management for artists ranging from upstart bands to GRAMMY Award nominated, multi-platinum artists. More information on the company can be found at www.thefuelmusic.com. Written by Natalie Grant and informed by her three daughters — Bella, Gracie (twins, 9) and Sadie (5) — the multi-Grammy nominated singer released the first two titles of her ‘Glimmer Girls’ series — “London Art Chase” and “A Dolphin Wish” — in February. “Miracle in Music City” is the third book in the four-book series, and will be available nationwide Aug. 2, 2016. Known for her music, this is Grant’s first series for kids. Like the first two books, the third title will follow Mia, Maddie and LuLu Glimmer, three spunky, smart and unique sisters, on amazing family adventures around the globe. ‘Glimmer Girls’ is the newest series in the Faithgirlz line, the popular brand for tween girls from Zonderkidz, the children’s publishing division of Zondervan. Faithgirlz books, Bibles, and products empower girls ages 8-12 to joyfully explore, grow and proclaim their Christian faith. In “Miracle in Music City,” the Glimmer Girls are at it again — looking for a mystery to solve. The girls’ famous mom, Gloria Glimmer, wants her daughters to learn they aren’t too young to make a difference, so she gets them involved in her annual benefit and auction in Nashville, TN. But as things often do with the trio of smart and spunky sisters, they get themselves, and their nanny Miss Julia, involved in a lot more than just helping mom raise money for a worthy and wonderful cause. Grant taps into her life and the adventures with her own family on the road, to create each ‘Glimmer Girls’ story. Readers join the Glimmer family as they travel the world finding new opportunities for the adventurous sisters to discover clues, solve puzzles, and often even get into some mischief along the way. Together with their famous mother, and their eccentric nanny, the three sisters learn important character-building lessons about being good friends, telling the truth, faith, and a whole lot more. “Miracle in Music City” will be available at retailers nationwide and online on Aug. 2, 2016. Following Grammy and Dove Award nominations, a trio of best-selling major label albums and seven chart-topping singles alongside viral videos, Decyfer Down returns with the April 1 release of The Other Side Of Darkness through The Fuel Music. After more than a two-year hiatus from recording and touring, the band, collectively Brandon Mills and Chris Clonts (guitars), TJ Harris (vocals/guitar), Benjamin Millhouse (drums) and Chris Furr (bass), is reveling in its newfound freedom as an independent band to write, record, release and perform new music. Making a conscious decision to shatter comfort zones, whether they be artistically or thematically, the band held a no-holds-barred approach to The Other Side Of Darkness. Already resonating with radio programmers, the lead single from the album, “Nothing More,” is No. 15 and climbing after nine weeks on the on the Billboard Christian Rock chart, while hitting No. 5 and heading toward the top of the Christian Music Weekly (CMW) chart. The song is a fists-in-the-air anthem meant to encourage fans to move forward with God regardless of what might try to stand in the way. Taking the new music from The Other Side Of Darkness, as well as its growing list of fan favorites, on the road, Decyfer Down plans to tour heavily in 2016. Beginning today, the band embarks on a massive 39-date run on the City Rock Fest 2016 tour with Disciple, Seventh Day Slumber, Spoken and Children 18:3. (See tour itinerary below.) This tour follows Decyfer Down’s own successful headline tour last fall, as well as 32 packed events on the 2015 winter/spring leg of the City Rock Fest tour. While on tour, Decyfer Down will play a diverse mixture of venues, including clubs, theaters, churches and arenas, which is representative of the band’s widely diverse fan base. For all the latest Decyfer Down tour dates and other news, go to www.decyferdown.com, @DecyferDown and www.facebook.com/decyferdown. NASHVILLE, Tenn. (February 17, 2016) – Author and speaker Ginger Sanders is slated to attend the 2016 National Religious Broadcasters Proclaim 16 International Christian Media Convention (NRB) which will be held Feb. 23-26 at the Gaylord Opryland Resort and Convention Center. During the conference, she will be meeting with media and industry leaders about her experiences as a chaplain with the Billy Graham Rapid Response Team, many of which are detailed in her book, He Goes Before Us (Xulon Press, 2016). Sanders’ NRB appearance will follow on the heels of her appearance at the Birmingham Public Library’s 2016 Expo and Book Fair, which is scheduled for February 20 in Birmingham, Alabama. The annual event, which is sponsored by the Friends of the Birmingham Public Library, will showcase up to 100 Alabama authors, including Sanders, who discuss their work, sell and autograph their books, and talk about their writing process. Sanders has experienced more than her share of natural and man-made disasters. From devastating floods in Iowa to tornado ravaged towns in Alabama; from the scene of the horrific theater shooting in Aurora, Colorado, to the unfathomable grief following the tragic school shooting in Sandy Hook Elementary School in Connecticut, Sanders and her fellow chaplains continually see God at work. Yes, bad things happen to good people, but Sanders has also seen lives changed and souls saved through God’s amazing grace. In every situation, Sanders says she and her fellow chaplains have witnessed the dramatic presence of God, proving that only God can orchestrate these situations. He Goes Before Us and the children’s picture book, Round Eyes. To learn more about Ginger Sanders visit gingersanders.com/home. The annual National Religious Broadcasters Convention & Exposition (NRB) is the largest nationally and internationally recognized event dedicated solely to assisting those in the field of Christian communications. The dynamic exposition consists of nearly 200 companies and is an active marketplace for those seeking tools and services to expand their ministries. The NRB Proclaim 16 International Christian Media Convention will be held Feb. 23-26 at the Gaylord Opryland Resort and Convention Center in Nashville. For more information, visit nrb.org. Nashville, Tenn. – (February 16, 2016) – Francesca Battistelli has taken home her very first GRAMMY®Award for the song, “Holy Spirit” – in the category Best Contemporary Christian Music Performance/Song – from her 2014 album If We’re Honest, an album that has garnered three total GRAMMY® nominations. Francesca has a total of four career GRAMMY® nominations. Battistelli, who is excitedly anticipating the birth of her third child, was unable to attend the 58thAnnual Grammy Awards, which were held Monday, February 15 at the Staples Center in Los Angeles. Francesca’s “Holy Spirit” spent 15 consecutive weeks at No. 1 and topped 5 radio charts simultaneously in 2015, becoming her third consecutive No. 1 from the album, If We’re Honest, following “Write Your Story” and “He Knows My Name”. This Grammy Award win caps off an extremely fruitful awards season as she was voted Female Artist of the Year at the KLOVE Fan Awards last spring, received her first Billboard Music Awards nomination, and received three more nods at the 2015 GMA Dove Awards. For more information, visit www.FrancescaMusic.com and follow @francescamusic on Twitter and Instagram. A leader in the music industry for over 60 years, Word Entertainment, a Warner/Curb company, is a unique, comprehensive faith-based company comprised of multi-faceted artist service departments including publishing, merchandising, booking and online initiatives. Word Entertainment represents some of the top names and brands in music, including Meredith Andrews, Chris August, Francesca Battistelli, Big Daddy Weave, Blanca, Jason Castro, Everfound, Family Force 5, Jon Foreman, for KING & COUNTRY, Group 1 Crew, Love & The Outcome, Dara Maclean, NEEDTOBREATHE, Point of Grace, Sidewalk Prophets, Skillet, Stars Go Dim, Switchfoot, VERIDIA, We Are Messengers and Zealand Worship, and is home to 25 Entertainment, Word Distribution (representing Curb Records and Big Idea/VeggieTales among others), Word Church Resources, Word Films, Word Music Publishing and Word Label Group’s Word Records, Word Worship and Fervent Records. Nashville, Tenn. (February 16, 2016) – Multi-platinum selling TobyMac was recognized with his seventh career GRAMMY® Award for Best Contemporary Christian Music Album for THIS IS NOT A TEST at the 58th Annual GRAMMY® Awards. THIS IS NOT TEST, his sixth studio album, debuted at No. 1 on the Christian Albums Chart, No. 4 on the Billboard Top 200 and No. 3 on the Digital Albums Chart and boasted the GRAMMY® nominated No. 1 radio hit “Feel It.” Garnering critical acclaim and notable placement, THIS IS NOT A TEST received coverage from ESPN Music, FOX & Friends, HLN’s “Weekend Express,” ABC Radio, Billboard, FOX News, Patheos and more. TobyMac’s GRAMMY® win comes at the start of his 2016 HITS DEEP Tour, kicking off February 18 in Baton Rouge, La. Britt Nicole, Colton Dixon, Building 429, Capital Kings, Finding Favour and Hollyn will join TobyMac on the tour, traveling to over 25 markets. For more information on the tour, visit tobymac.com/tour. With more than 11 million units in career sales and a whopping seven GRAMMY® Awards, TobyMac’s career continues on the fast track. His most recent studio album, THIS IS NOT A TEST garnered a GRAMMY® Award and a high marking debut at No. 4 on the Billboard Top 200. Each one of his previous five studio solo projects have achieved Gold certification, a first for an artist in the history of his label, Capitol Christian Music Group. Among those honored with Gold certification, EYE ON IT, which debuted atop the Billboard 200, only the third ever Christian album to do so. His live DVD, ALIVE & TRANSPORTED, is RIAA Certified platinum and received a GRAMMY® award. (High Point N.C.) February 5, 2016 – Platinum-Selling Recording Artist Jeremy Camp embarks on his I Will Follow Tour with Mandisa this spring making stops in multiple cities sharing music from his latest project of the same name, ‘I Will Follow.’ The tour also features special guest Finding Favour. Tickets for the I Will Follow Tour go on sale Friday, February 12, 2016. For more information on the tour, please visit: https://www.jeremycamp.com/. Ask people to describe Mandisa and you’ll hear words like talented, gracious, beautiful, strong, loving and joyful, but the title of her new album offers an especially apt description of the artist-Overcomer. However, Mandisa sees it as more than her song, but an anthem for all and she’s happy to launch the battle cry. Signed by TobyMac’s Gotee Records, Finding Favour delivers a powerful project that reflects the moving stories that inspire their music and showcases the band’s considerable talent and musical mission. Produced by Rob Hawkins (Building 429) and Dustin Burnett (Kingsfoil), Finding Favour proves to be a long-awaited breakout project for Blake and his band mates, Allen Dukes (vocals, guitar), Dustin Daniels (bass, vocals) and Josh Duckworth (drums). The self-titled collection showcases the group’s innate talent in writing songs of religious inspiration and personal transformation against a backdrop of tight modern pop rock. About Premier Productions: Formed in 1996, Premier Productions is the largest producer of Christian concert events in the nation and the co-founder of the Winter Jam Tour Spectacular, Christian music’s largest annual tour! Premier promotes award-winning artists with No. 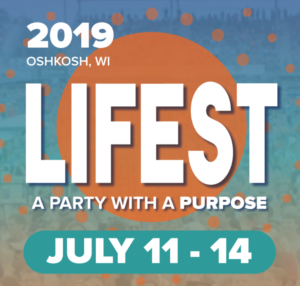 1 hits such as – TobyMac, Skillet, Casting Crowns, Hillsong Live, Hillsong UNITED, Lecrae, Bill Gaither & Friends Homecoming, Jesus Culture, Kari Jobe, Matthew West and many more! For more information on Premier Productions, please visit premierproductions.com.